If you are looking to present your ‘Club Music’ event, use this flyer template. This flyer has been created with Polygon style design, included many layers such as Light Shapes, Geometric Shapes and more Layers which makes it very unique and creative. 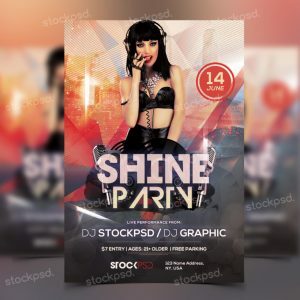 Shine Party Flyer is a Free PSD Flyer Template. This PSD File is very easy to edit, change the color, text, shapes or other elements that you can easy add/delete. This flyer have also Alternative Colors which you can change the whole flyer template by just one-click ! Help file have a guide on how you can customize colors and more helpful information. 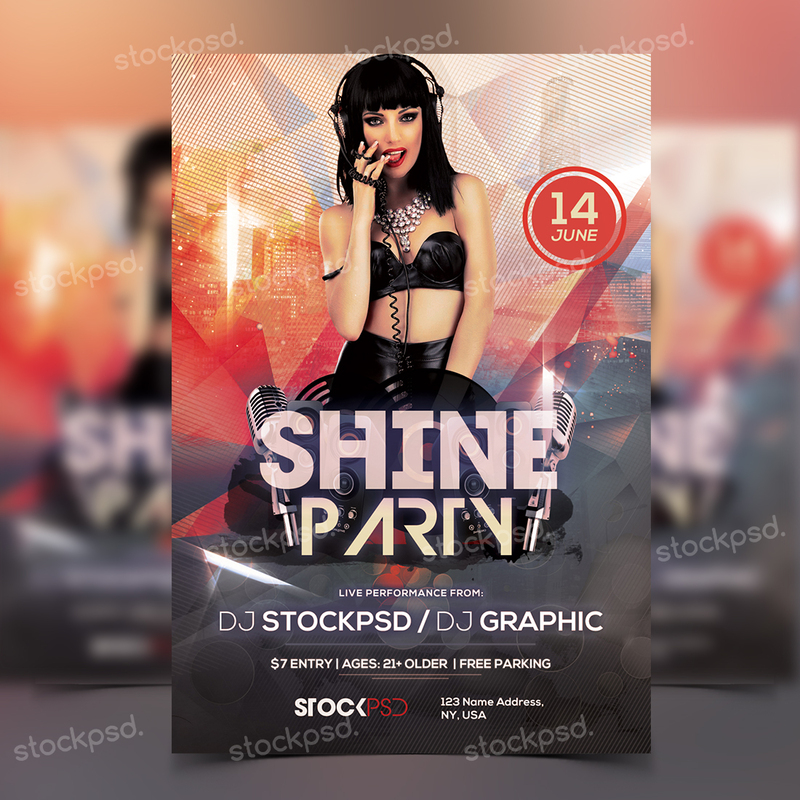 Click Here to Check also our Exclusive Free PSD Flyer Templates – For Party, Events, Luxury & Business Templates. Model is not included in PSD file, but you can easy replace and add your own image/model.